Javier Vega Jr. was shot and killed by two undocumented immigrants in front of his family during a fishing trip in Willacy County two years ago. 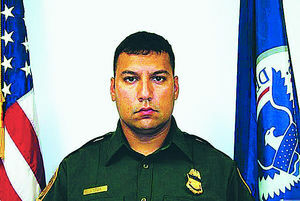 Now the National Border Patrol Council has filed a petition for Vega’s family, whom he protected during a robbery attempt, RGVProud reports. “He served his country. He served his community and I believe we owe it to him to honor him properly,” National Border Patrol Council President Chris Cabrera said. Posted: 8/8/16 at 8:51 AM under News Story.